Promo: Kindertransport at Nottingham Playhouse. Director Fiona Buffini shares her thoughts… – East Midlands Theatre. 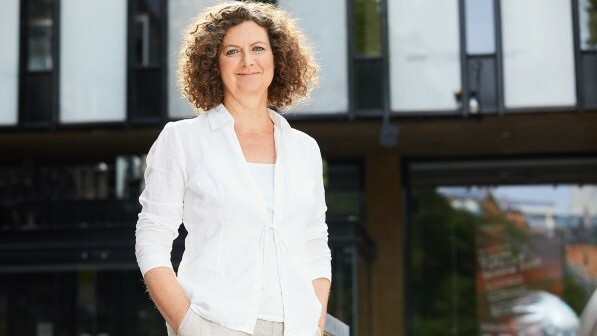 Fiona Buffini directs Diane Samuels’ play Kindertransport in the 80th anniversary year of the rescue effort which saved the lives of thousands of children from Nazi persecution. Here she tells us about what to expect from this timely refugee story and its relevance to society today. There had been a series of laws and events in Nazi Germany, in the six years before the Second World War, that had persecuted the Jewish community. These came to a head in the autumn of 1938 when Jewish businesses, homes, hospitals, schools and synagogues were ransacked and destroyed in what became known as Kristallnacht, which sent shock waves round the world. In the UK, the Movement for the Care of Children from Germany petitioned parliament, and the government agreed to speed up the immigration process of thousands of unaccompanied Jewish children fleeing persecution. Jewish parents sent their children to homes in England, Holland and Scandinavia to find refuge, the programme becoming known as the Kindertransport (German for ‘children’s transport’). In all, 10,000 children were saved while many of their families perished in the Holocaust. Fiona Buffini at Nottingham Playhouse. With our privileged position, living in a safe country that operates under the rule of law, the play reminds us that we have a duty of care to all children wherever they’ve come from: particularly now, with the plight of so many unaccompanied minors now from all over the world looking for safety and refuge on our shores. The play shifts between time frames and the heroine, Eva, is seen as both a child and a grown woman in her 50s (now called Evelyn). We’re invited to explore the relationship between mothers and daughters, not just between Eva and her mother Helga, but with her English foster carer Lil and with her own daughter Faith who is getting ready to leave for university. 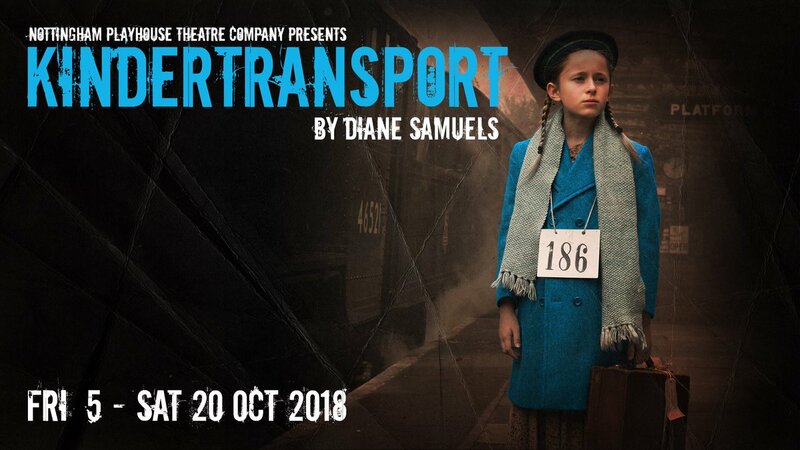 Diane Samuels manages to tell the epic story of the Holocaust and the Kindertransport programme through the eyes of one refugee in an ordinary domestic setting. It’s both a substantial and meaty play and really enjoyable as a family drama. It will engage those interested in history and those who can recognise themselves in the mother-daughter relationships on stage. It’s fantastic to be working with a cast of five women (and one man) because we don’t see enough stories told from the perspective of women. Emotionally the play is very warm and it’s written with great love for and understanding of all the characters. There’s actually a lot of humour juxtaposed against the inevitable moments of sadness and compromise. People aren’t always what they seem in the play so that adds an element of surprise. We never see any direct images of the Holocaust but it’s the shadow that hangs at the back of the play and we do see flashbacks to Eva’s home in Germany. There’s a very frightening character called the Ratcatcher who has haunted Eva’s imagination since she was a child which adds an undercurrent of suspense and horror throughout. Theatrically it’s such an interesting piece of writing. We’re going to be shifting between the past and the present in quite a dramatic way. All of the scenes in the present day are set in an attic which will be a warm, chaotic, messy world full of boxes and junk. The scenes in the past will be in black and white, like film noir, with dramatic lighting and underscoring throughout. We’re hoping to bring a real wow factor for the audience. Kindertransport has all those things I love in a play. It’s a substantial story that has something to say. I love big plays that wrestle with important moral dilemmas and this play really shines a light on something that we may have already made our minds up about and allows us to see it from a different perspective.